So it is already November and like me you are probably already fed up with the myriad of decorations and displays that seemingly erect themselves overnight. I mean, come on! Christmas is a long way off. Halloween was less than a week away and there were already Christmas drinks at Starbucks and a full on display of all things festive in John Lewis. As annoying as it all seems, there are three things that I absoluteley love abut this time of year. The food, and sudden influx of cranberry sauce in to every chain restaurant; the presents of course; and Christmas Horror. I think it all started many years ago when I saw the Jack Frost film but i’m not going to recommend that you watch that, what the hell, go wild. 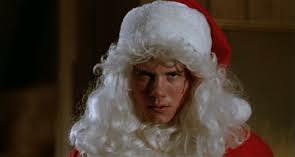 This Christmas we are getting treated to ‘Krampus’, a horror-comedy about what happens when children are bad. It’s based on German folklore and genuinely looks like it could be a lot of fun. Naturally, I was reading up on it, only to notice a film that held similarities. That film was ‘Silent Night, Deadly Night’ and it follows a serious of events that occur when a family is butchered on their journey one Christmas. I will not lie to you, I wasn’t expecting much from the 1984 production but it ticked most of the boxes. I think it was refreshing to watch because it did not try to employ the same principles that hold back a lot of films in the genre. The film focuses on our protagonist, Billy, who survives the families slaughter and becomes a resident at an orphanage. We watch him grow and witness deep character traits throughout the duration of the film, which does a great job of creating a sense of empathy; we actually start to sympathise towards the character. Billy is a poor kid who has lost everything and has never really recovered from the horrors that he saw. Mother Superior, the head of the orphanage, is a great propellant when it comes to the filmmaker evoking the mentality of Billy. His fear of Santa stems from an opening scene when his grandfather tells him that naughty children will be punished; this is something that clearly stays with him. The film moves along and Billy grows in to a young man. He seems to be liked by everyone and is portrayed as a hard working and sensitive person. The owner of the toy store that he works at dresses him up as Santa to cover for someone who is sick. At the edge of reason, Billy begins to drink and the night goes South. I have already given a fair bit away but even so, this must be watched in order to appreciate the character that has been created. Often, horror films fail to flesh out the characters because they know that they will probably be killed off within the hour but this is a mistake that ‘Silent Night, Deadly Night’ does not seem to make. The script is passable and I never really found myself asking questions like, “why the hell would he do that? !” It seems like a lot of thought went in to this film and it is conveyed on the screen throughout. Whether you want to watch a horror film for a bit of fun or are looking for something to watch as a serious scare, this film should be a suitable candidate. I read after that there is a multitude of sequels and it goes up to at least part 5, which seems to star the same protagonist. There was also a 2012 remake which I may check out at some point. All in all, this was a lot of fun to watch. The runtime came in at about 80 minutes, meaning that it was a bit on the short site, but the film did not suffer from it. It is a somewhat unconventional film but one that I do not regret watching. Christmas horror to enjoy for all. Occasionally, I like to take a break from the twisted world of horror films but don’t worry, I do not travel far at all. I scour the Internet to see what has been introduced on the short film circuit instead. It amazes me that I am never short of great content; without further ado, Lights Out. So what did you think? I personally think that this is one of the best executed horror films that I have seen in a long time, and this is despite the reveal of our antagonist at the end. The film starts with the woman clearly settling down for the night and as she turns the light off, we are dropped in to that all too familiar place; you know, the one where we think that we see something in the darkness that has suddenly enveloped the room. The dark figure we see at the end of the corridor is the embodiment of what is supposed to scare us the most – the fear of the Unknown. The figure is there and it is real but that’s about as much as we know. Borrowing from the realist tradition, we are not given many clues as to what is going on; the narrative is not important, the characters are. As the woman flicks the light on and off, we expect that each time, the eerie shape will appear closer – this is not the case. What happens instead is both simple and genius in its execution – Nothing happens for the first few times. The figure remains where we first saw it as the corridor is repeatedly plunged in to darkness. This is a great build of suspense because it is unconventional in comparison to the traditional horror. When the figure eventually does appear, it is right in our faces. The over the shoulder shot makes us relate with the woman and it truly makes you jump. In such a short amount of time we learn so much information but mainly the purpose of the light. No vocal cue needed, just the image of the woman taping the light switch in place – clearly our antagonist resides in the darkness. Like so many horror films before it, the light is the safe zone and the dark spells trouble. Somehow though, Lights Out seems fresh in its approach. The suspense continues after the woman runs to her bed. Perhaps this is so prominent because of the relationship that the safety of bed has to many of our childhood memories? If you have ever tucked yourself in to the covers, afraid to leave a leg outside, you will know what I mean. Eerie noises and the impending creaks from the hallway keep us on the edge of our seats as all of these sounds lead us towards the belief that this unknown thing is approaching. As soon as the light goes out in the corridor we are once again shocked. This thing is not just her imagination. It’s real. The lighting is used again to display a flickering lamp and the woman is forced to conjure up all her courage to put her arm out of the safe zone that she has made within her bed. She firmly pushes the lamp back in and restores the light and foolishly we believe that she has vanquished the evil presence. Wrong. We see a strange creature with a creepy and psychopathic grin staring right at her after she gains the confidence to come out from under the covers. Usually, this would be the point that I am disappointed, the reveal, but instead I’m unnerved. The fear that I had as a child, that fear of the dark, never really went away. We all lie to ourselves and try to believe that it’s in the past but we in reality, we fear the unknown. The dark is the Unknown. This film builds suspense like no other and it does it in a fraction of the time-frame that others do. David Sandberg and Lotta Losten tapped in the fear that we all try so hard to suppress and done it in only a couple of minutes, this truly amazes me and scares the Hell out of my inner child. I welcome the though of a feature by these two. As an Xbox One owner, I was truly disappointed when i found out that a game that I was waiting so long for was in actual fact, a Playstation 4 exclusive. 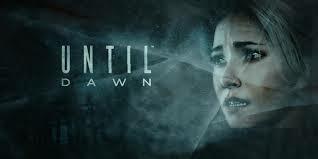 Until Dawn looked too good to be true; a true horror experience that plays like a lot like Heavy Rain. I cannot convey the happiness that came over me when my good friend lent me his pride and joy to experience the game that I had been desperate to get my hands on. I had the console, now all I needed was the game. A late night trip to a 24-hour Tesco Extra was the destination as we bundled in to the car. I couldn’t wait until Sunday when I was so close to embedding myself in the story that Supermassive Games had crafted for me. I jumped out of the car and hastily forced my way to the technology department. I knew where I was heading and nothing could stop me. Except Tesco. A ridiculous rule that means that I cannot purchase anything technology related at my 24-hour store after 8pm had foiled me previously; surely I would not be caught out again? But I was. I would have to wait until the next day for the game as the disappointment sunk in. The following day was a good feeling when i popped open the box and gave the obligatory sniff of the fresh instruction manual – I know, weird. The game installed fast to my amazement, something that I was not used to, being an Xbox owner. The time had come.. The game begun and I was instantly thrust in to a full on horror experience; it was perfect. It played like a film and I do not regret a second that I spent playing it. 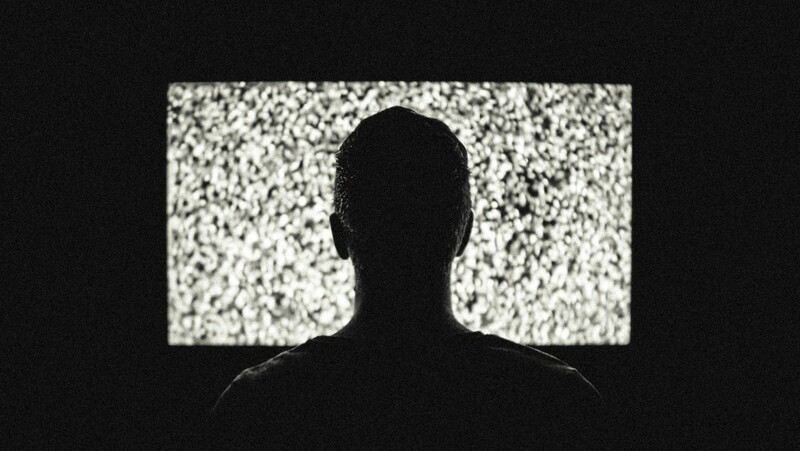 It was like somebody had cut open my head, taken my thoughts and displayed them on screen. I was allowed to make the decisions that I wanted and it felt amazing. If you have ever asked yourself why the victim would stay and hide or proclaimed that you would ‘be outta there so fast’, you would also feel the gratification that I did. I spent hours playing it in my first sitting and honestly did not feel the time passing by. The butterfly effect was a nice addition to the game because it gave me the freedom to do what I wanted as well as providing a massive amount of re-playability. I had saved a fair amount of the terrified characters but what would happen if they all died? What would happen if they all survived? How would the outcome change? All of these questions left me wanting more from the game; this is something that I believe gave me my money’s worth. As a script writer, I instantly pick up on flaws and glaring issues that make me question the belief in what I am watching. A poor script is the foundation for a poor end product and I have to commend the creators for their hard work regarding this process. It seems as though they were not daunted by the sheer magnitude of writing multiple scripts that overlay and criss-cross throughout the course of the game. It was stable and made a lot of sense which left me more than satisfied with the story that was unfolding. The characters on the other hand were not as strong as the script and the gameplay. The characters in Until Dawn were a little bit two-dimensional and this started to show as the game progressed past the mid-way point. Some remained strong and this was apparent by my constant feeling of hatred toward Emily’s negative attitude; if i could have reached in to the screen and ended her myself, I would have. Some character were not so good at stirring my emotions and quite frankly I found them a little bit boring and generic but I will not go in to too much detail on the matter. Nonetheless, I have hope that a game with ‘over one hundred endings’ may show more about certain characters depending on the choices that I make. Was my favouritism of particular characters making the others less important in the play through? One of the biggest arguments for why this game is not as great as it should be is the gameplay that I love so much. Although I respect it and the product that Supermassive Games have released, it is clear to see that it may not be favoured among all. For those that prefer a more action based game it will probably not satisfy your gaming needs – That is you, Call of Duty fans. Somebody that appreciates a nicely put together narrative over run-and-gun however, will no doubt love what the developers have done. Like i said, I truly appreciate Until Dawn and love what Supermassive Games have done. Heavy Rain was one of my favourite games and this felt like an extension of that but more geared towards my preferred genre. I would recommend that everybody should at least try it and truly believe that it is a PS4 exclusive not to be missed.